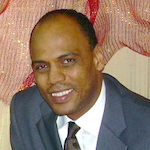 Geraldo Orozco has been CEO of ASPIRE since 2000. ASPIRE is a Christian financial institution which offers microcredit in the Dominican Republic. Geraldo has a Master’s in Marketing from INTEC University and a law degree from UTESA, both universities based in Santo Domingo. Geraldo is an Assistant Pastor at Prince of Peace Mennonite Church in Santo Domingo and is invited regularly to speak at national and international conferences on topics such as Leadership, Microfinance and Theology. Since 1987, Geraldo has been married to an accomplished educator, Rita Esther Melo. They have three daughters.